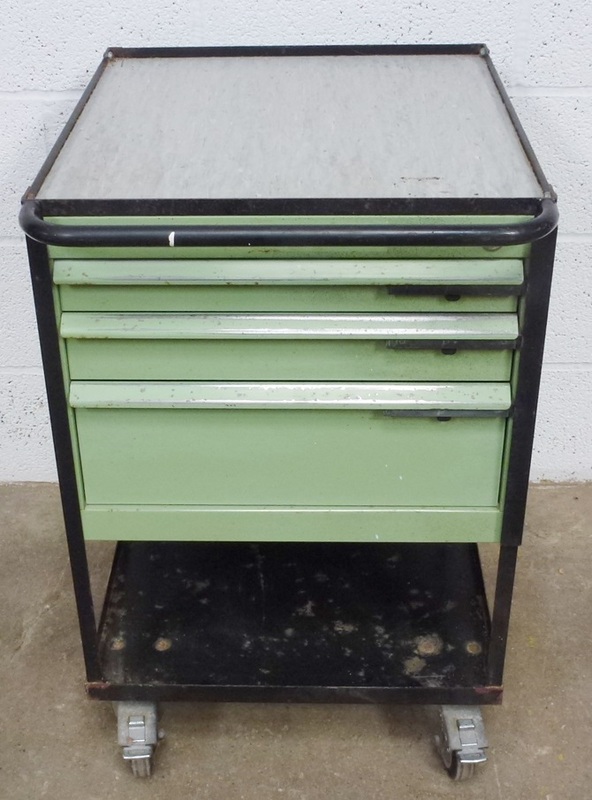 A steel rolling machinist tool cabinet. steerable and locking front wheels, side locks on all draws with original keys for the top . size 21″ x 20 1/2 x 31″ high lined top tray. Draws are 1 3/4 deep 2 3/4 deep and 5 3/4 deep and has removable dividers . Buyer collects or arranges collection.